« Syrian Missile Strikes! Prepare for a “Thawing” of this New Cold War with Weapons of Mass-Minded Confusion. Plus the UK Skripal Novichok Poisoning; the Outcome of the Trump Trade War with China foreseen 2 Years, 5 Months before it Started; Newsweek being News “Weak”; And finally, Memories that Define us can Sustain and Grow the Enlightenment in us. Prophetic Medium Mountain-Moving in May! This is the month. This is the time when the year 2018 gets cracking with crises and breakthroughs. Things long stuck for a century can get busted loose. Economics unchanged and chained can Fiat face-plant a warning. Make Gaza ghettos, vast open anti-Semitic prisons, look like Warsaw Ghettos to shame cousin brother Semites for their echoing crimes committed on them becoming crimes committed “by” them. The nations begin proactively ending their own disputes and walk hand in hand over borders long militarized out in the sun, out from under the hegemony of a fading global superpower’s influence and long manipulation. I have much to say in this future wave of articles and two more waves coming this month of May. Deadlines loom. Peace can come to the Far East, while a decision President Trump will made on 08 May casts peace out of Near East. Peace died quickly after Trump’s world announcement. Less than an hour after Trump, and the United States (I dare say it) a proxy of Israel under its current Zionist-Supremacist leadership, severed its support for the treaty, Israeli forces felt emboldened to launch missiles for a third time in less than a month into Syria. Their target was Iranian al-Quds special force bases there. The al-Quds along with Shia Hezbullah militias from Lebanon are allies of the Shia Muslim dominated Syrian government of Bashar al-Assad. They have been fighting alongside the Syrian Arab Army for seven bloody years. Their opponents are rebels, backed, financed, and armed by the US, the Saudis and Israel mostly consisting jihadist terrorist militias affiliated with al-Qaeda if they’re not the remnants of similarly financed and supported forces of ISIS, the Islamic State. Trump’s ink had hardly dried before blood was spilt. Israeli right-wing newspapers and Western mainstream news outlets have overlooked this initial post-treaty withdrawal, Israeli attack killing 16 Iranian al-Quds soldiers. The media instead only reported the Syrian counter missile strike on Israeli positions on the Golan Heights on the following night. 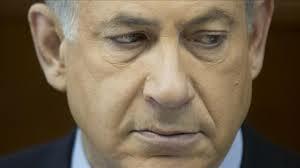 It was Syria’s counter-attack on Israeli military positions. And it was by the Sy rian Army forces, NOT Iranian units in Syria. The US mainstream media falsely called it a first strike on Israel by “Iranians” in Syria, making you think the Iranians answered Trump’s action by striking Israel—they did not. It is absolutely shocking to see US news networks this blatantly, or perhaps willfully, misinformed. One wonders if in the future, they will ever inform the US people who shot first and dragged them into any future war. Israel escalated its strike on Syria and further lied to the press that their wide-ranging strike with more than 60 missiles targeted only Iranian infrastructure across Syria. It didn’t only do that. 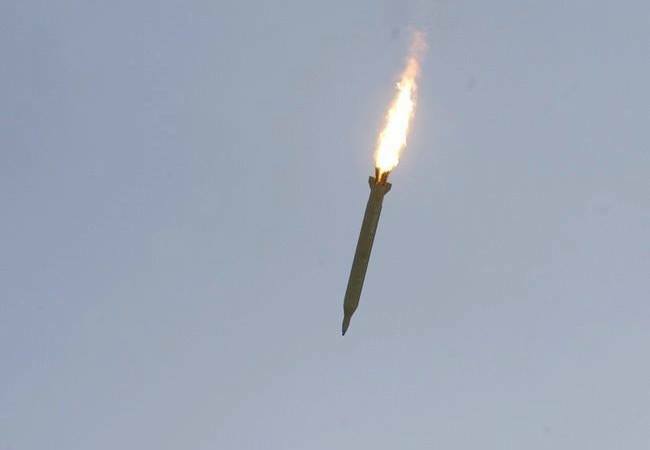 It was mostly aimed at Syria’s missile and radar defenses as punishment for daring for the first time to answer one of Israel’s unilateral strikes over the last few months, specifically this one coming after Trump and America left the Iranian treaty. I see the real footage in real time, not what gets pasted together on your evening news. There is a phony propaganda war going on as much as a shooting one, programming Americans and Israeli citizens to believe this violence is Iranian initiated. 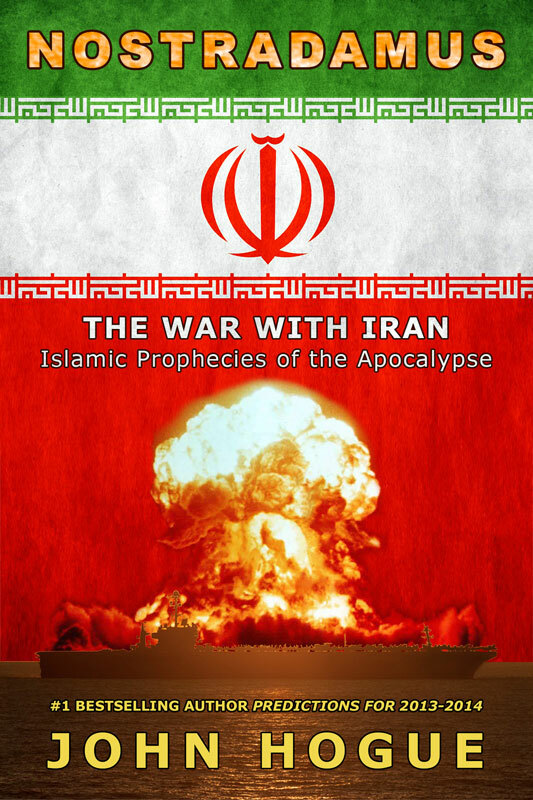 Click on this link and read about the future of Iraq, Syria and when Nostradamus dated and described the next great Middle Eastern War. What is without dispute is that Trump’s rash decision was immediately followed by military violence in a sharp escalation. 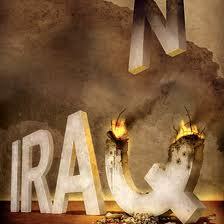 I foresee the consequence will be a new era of rapid US military and economic decline set in motion. All the other signatories of this agreement and Iran for now have pledged to sustain it, but even if they don’t. 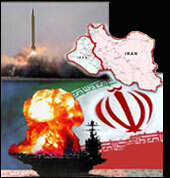 They will forge a new treaty with Iran, with the US and its odd man “president” out. In the long term I now see a future scenario activated that would find Britain, France and Germany along with the rest of the EU nations isolating the United States, politically and economically, shifting their interests further east to follow the destiny of the other main signatories of the Iran deal, China and Russia. 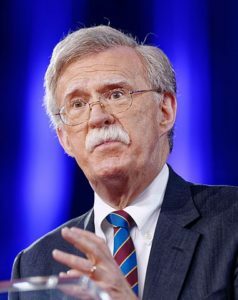 There could be coming a new economic and political bloc formed—sooner than later—especially if Trump should make good his threat to punish any other signatories of the treaty for not submitting to his new draconian sanction program against Iran, signed on 8 May. There’s a dreadful irony in Trump’s bad taste in timing this buggering out of the Iranian treaty. He did it on 8 May, the 73-year anniversary of VE (Victory in Europe) Day. It could be that on a day marking a major step in ending the last world war, Trump may have set in motion the next world war. We may be three, eight or even a year or two into the opening consequences of his catastrophic act before this war goes into a direct US-Iranian conflict—then escalates to a direct US-Russian nuclear war. Remember what I say here and detail in the rest of this important article. 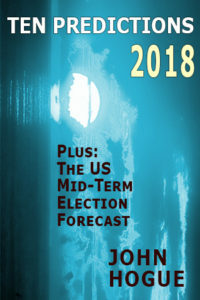 Momentous changes are coming…READ THE REST>>>Gain FULL ACCESS to this and all 6 articles with a minimum donation of $5.00 or whatever you can generously spare to support Hogueprophecy.com this Spring for just Wave One of May’s three waves of articles. We need your financing help to relaunch a new HogueProphecy.com. For $25.00 contribution you can receive two more planned article waves in May for free. For a $50.00 donation, receive five waves of articles through June. For $100.00 inside the US ($130.00 for outside the US) receive same and a gift Hogue book of your choice, personally signed and mailed to you. For all choices put May in the PayPal memo line. I’ll personally send the fully illustrated PDF attachment depending on your donation choices via the email used to donate, with the subject line: RE: Notification of Donation Received. Thank you for your support. Earth wakes up this spring as humanity remains sleepwalking to its peril. The first week of May suddenly saw spring come with an abnormally extreme rise in temperatures. The Gulf of Mexico breathed subtropical moisture over the US South and Atlantic states to spar with chilled, northern winds to spawn the first severe episode of tornado and thunderstorms across the midwestern plain states starting Wednesday, 2 May. It put over 10 million Americans on notice that this faux mini Ice Age of a lingering winter was over. Spring with a thunderstorm “Bang” rolled violent weather across the rest of the eastern US through the weekend. New York City and Washington experienced their first temperature heat wave spikes a full month earlier than normal lingering in the low to mid-90s. I would even venture that you’ll suffer more weakening Polar Vortexes bleeding out arctic storms this winter. Be forewarned and prepared. The climate signs are showing to me that by March into April will see a sudden and dramatic heating up of temperatures. This spring we may be in store for the most violent episode of tornados in the Southern and Midwestern US states not seen since the historic outbreaks of 2011. A Snowercane slams Eastern Atlantic US States: Where’s the Global Warming? Extremes are your new abnormal. True spring came more than a month late, but it comes with a vengeance, just as one ought to expect from a world gripped in the chills and fevers of a global warming. April in Pakistan, in the Indian Subcontinent ended on clocking the hottest reliable recorded temperature since humans kept records for April. A southern Pakistani city of 1.1 million souls of Nawabshah baked under 112.4 degrees Fahrenheit! The tyranny of heat spread across Southern Pakistan and the Indian Rajasthani, Punjabi and the densely populated, northern Ganges plains, drawing with its demonic searing and invisible fingers devastating, hurricane force winds down from the west and off the Himalayan mountains to scourge vast areas of northwestern India with dust storms and lighting, throwing down houses and setting businesses on fire, and killing over 120 people. All meteorological signs point to a continuation of this perversely enhanced pattern of far smaller and less deadly precursors of the oncoming Monsoon season the Hot Season brings. It’s another telling sign. A constant reminder that all your weather phenomena has more meteorological muscle as you feed it with our livestock farts, your carbon sinks burning as forests or venting as permafrost banks in the Arctic the CO2 and methane that human runaway pollution of the skies is releasing by warning the world beyond what nature’s carbon absorbing efforts can contain. In the Indian Subcontinent 41,000 lightning strikes in April into early May with 82 mph winds and blinding dust storms are trying to get our attention that something very wrong with the way we treat our only, and beautiful, world in space. 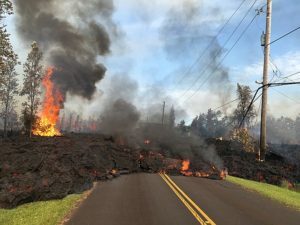 On to Hawaii, rocking, rolling, and roiling with potentially the biggest eruption brewing in 84 years! The stars may tell us when…READ THE REST>>> Gain FULL ACCESS to this and all 6 articles with a minimum donation of $5.00 or whatever you can generously spare to support Hogueprophecy.com this Spring for just Wave One of May’s three waves of articles. We need your financing help to relaunch a new HogueProphecy.com. For $25.00 contribution you can receive two more planned article waves in May for free. For a $50.00 donation, receive five waves of articles through June. For $100.00 inside the US ($130.00 for outside the US) receive same and a gift Hogue book of your choice, personally signed and mailed to you. For all choices put May in the PayPal memo line. I’ll personally send the fully illustrated PDF attachment depending on your donation choices via the email used to donate, with the subject line: RE: Notification of Donation Received. Thank you for your support. 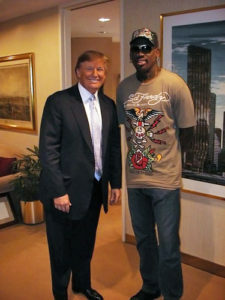 Dennis Rodman and The Donald. Source: OPEN Sports. At last some truly good news for HogueProphecy to share with you. Moreover, for once I’m enjoying a rare streak of accurate forecasts I started making over a year ago that keep on coming true about Korea coming closer to the threshold of peace than at any time since the Korean War began back in 1950. My Oracle’s take on Kim Jong-Un and South Korean president Moon Jae-in taking the future of the Korean Peninsula into their own hands, ending tensions during and increasing after the February Winter Olympics held in South Korea is still batting homers. The propaganda speakers along the DMZ (Demilitarized Zone) are coming down. The DMZ separating one Korea as two political fantasies is the result of a 65-year stalemate of an initially hot and violent war from 1950 to 1953, settling into a regional, hair-trigger cold war for 65 years. A little over a year ago I produced Trump Strikes Syria: And North Korea? It came out in late April 2017 during some of the most recent and darkest days of the Korean Peninsula cold war that looked like it would suddenly burst hot again in a regional nuclear doomsday. The unthinkable was alive again. A war killing tens of millions of Koreans and tens of thousands of US troops stationed in South Korea and Japan. Yet this book’s account of a black cloud of war drew a silver lining. It forecast the real possibility of the US and North Korea under Trump and Kim coming to the brink of the abyss, it might actually break the spell of the stalemate through the process of the very public catharsis both leaders tweeted and counter tweeted. Dark were the potentials by I saw this darkness as darkest at the end of the tunnel. An end to the Korean conflict and peace would soon be in sight. The breaking of the ice between North Korea and the US may have begun as far back as 2013 with a human errant of the surreal that was an associate of Trump, three years before Trump was president. If ping pong diplomacy got Nixon eventually flying to Red China, a weirder variation of a sports moment may have started the Korean peninsula coming to this threshold of at last finding peace. The unlikely sportsman to do this was not a ping-ponger but a former basketball player from the Chicago Bulls bringing “The Worm” diplomacy to North Korea. I inserted the following passages in my Korea book of an earlier article published back on 11 March 2013 for HogueProphecy.com introducing the “Worm” that indeed will—or at least could—“turn” destiny…READ THE REST>>> Gain FULL ACCESS to this and all 6 articles with a minimum donation of $5.00 or whatever you can generously spare to support Hogueprophecy.com this Spring for just Wave One of May’s three waves of articles. We need your financing help to relaunch a new HogueProphecy.com. For $25.00 contribution you can receive two more planned article waves in May for free. For a $50.00 donation, receive five waves of articles through June. For $100.00 inside the US ($130.00 for outside the US) receive same and a gift Hogue book of your choice, personally signed and mailed to you. For all choices put May in the PayPal memo line. I’ll personally send the fully illustrated PDF attachment depending on your donation choices via the email used to donate, with the subject line: RE: Notification of Donation Received. Thank you for your support. Prophecy can come upon one’s being like a remembrance of childlike innocence. It effortlessly gives insight to the inwardly watchful adult. But first, a little back story about what’s happening in the newest Warsaw Ghetto built in our times. Perhaps you don’t know about it? The mainstream news in America is as mum about it or misrepresenting what’s going on there in this large open, urban prison, walled in, just like the Jewish Ghetto of occupied Warsaw where snipers were also posted on its barbwire walls, ordered to kill and maim any Semite who came too close or crossed the kill-zone line. This is just like what Semites suffer today, killed by the dozens and willfully maimed and crippled by the thousands by bullets specifically designed to explode inside an arm or a leg or a torso, causing dreadful wounds needing amputation and vicious crippling of what are mostly peaceful demonstrators coming not even that close to Ghetto Prison wall guards, every Friday for the last seven Fridays. And just like the Nazi guards overseeing the Warsaw Ghetto inmates, they’re caught on camera joking and laughing at the unarmed Semite men, women and even small children that they’re using as target practice. These guards are no different than the SS guards. They shoot human prey without a consciousness of their evil because their targets, Semite human beings like them, aren’t considered human. Just sticks to break, like the once standing body of a child or woman or man, doubling over shot and falling to the ground. You’re not directly told. It short of reminds me of the same opaque reportage from same said US media outlets that report dozens of missiles “from an unidentified source” periodically bombing Syria again, and again, and again since March. Not addressed clearly who that sniper was. But then, this is an improvement. Back in Nazi Germany, the only footage they might show, and never to the Homefront but only to Red Cross inspectors of Semite concentration show camps like Marienbad, Czechoslovakia, only depicting the inmates as happy go lucky Semites painting, gardening, smiling… Before they get a good gassing. At least even the lame-streaming US network news can’t completely suppress the horrors happening every Friday for seven weeks and counting, yet their anchors can’t make that last mental step connecting the bullets fired by whom to the “dots”—the “dots” of red bullet holes, the snipers make in unarmed people they shoot. The newest version of history’s horrors and Holocausts I’m alluding to is about another urban ghetto prison like the Warsaw Ghetto that in 1943-44 jammed over 400,000 of Jewish Semites within its enclosed walls. 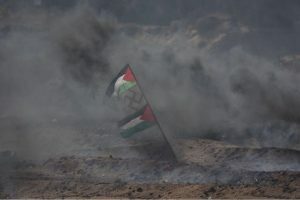 I’m speaking of the 1,815,000 Arab Semites called Palestinians holed up in an even larger Ghetto in size and number, policed by the great grandchildren of those Semite Jews annihilated in the Warsaw Ghetto now shooting kids, women and men, unarmed, as target practice if they get within 300 meters of the main prison barbwire and earthen wall defense network topped with sniper berms by the Jewish prison masters. It is the clearly the official and expressed intent of the snipers belonging to the Israeli Defense Forces (IDF) to severely wound cripple the demonstrators as another way to preserve their reign of Semite terror and prolong the agony of the other Semite, Gaza Strip Ghetto inmates…READ THE REST>>> Gain FULL ACCESS to this and all 6 articles with a minimum donation of $5.00 or whatever you can generously spare to support Hogueprophecy.com this Spring for just Wave One of May’s three waves of articles. We need your financing help to relaunch a new HogueProphecy.com. For $25.00 contribution you can receive two more planned article waves in May for free. For a $50.00 donation, receive five waves of articles through June. For $100.00 inside the US ($130.00 for outside the US) receive same and a gift Hogue book of your choice, personally signed and mailed to you. For all choices put May in the PayPal memo line. I’ll personally send the fully illustrated PDF attachment depending on your donation choices via the email used to donate, with the subject line: RE: Notification of Donation Received. Thank you for your support. I’m beginning a new HogueProphecy series today that will last for two years, as I begin the slow and epic process of a major upgrade and new edition of my 1,000-page magnum opus, Nostradamus: The Complete Prophecies. I’m going to post hundreds of quatrains you’ve asked me to explain over the years. 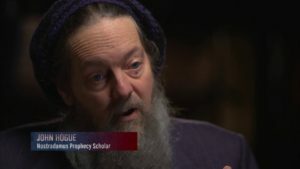 Moreover, I’ll be commenting on your interpretations of quatrains if you like and share in this series many of my secrets about interpreting the prophecies of Nostradamus so successfully over the past 30-plus years. I inaugurate this series by debunking one of the most common misperceptions about Nostradamus’ prophecies that they are all vague and open to anyone’s interpretation. This common criticism usually comes from people that don’t read his verses but blindly believe whatever their news media outlets tell them is so. As for those news media sources, I’ve dealt with them, face to face for over 30 years being interviewed thousands of times on radio, television, and in newspapers and magazines across North and South America, Europe, East and South Asia. I can tell you this from first-hand experience, 99.9 percent of the media’s “reliable authorities” read less Nostradamus than their audiences if they read anything at all. They spread a falsehood that Nostradamus’ four-line verses called quatrains, that he collected in 10 volumes of 100 quatrains called “Centuries” for his planned history of the future, are all completely vague and open to any projection. You’ll also be told by some “scholars” who ought to know better that these verses aren’t about the future. Instead, they claim Nostradamus was either digging up past or contemporary events veiled to hide current events as some flimflam act of a charlatan. Over the decades I’ve dealt with hundreds of journalists aping this parroted belief to stifle true skeptical inquiry into this sixteenth-century seer from Renaissance France. Such an investigation requires one avoid front-loading it with prejudice for or against the subject. Many of the verses seem vague for several reasons: 1.) they are wrong; 2.) they are about the distant future and the clues don’t yet make sense until the times come closer; and 3.) they are accurate prophecies that will never be understood because free will negated these alternative futures. Nostradamus surviving prose and poetic prophecies number nearly 2,000. For those who actually READ them from the original sixteenth-century texts before becoming “experts” denouncing them as all vague, they might find hundreds upon hundreds of verses that quite clearly detail names and describe events fulfilled hundreds of years in Nostradamus’ future. What is “vague” about this? The first example is obvious. 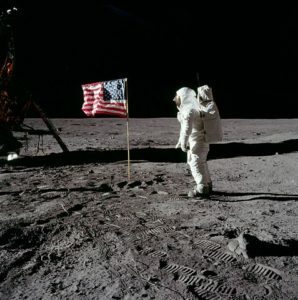 Nostradamus foresaw a man landing on the moon. The second one takes an essential element to make one a sharp interpreter—a detailed knowledge of the last 500 years of human history, united with a thorough grasp of current events and future trends saddled to something subjectively proven by the judgment of time and events—a gift of prophetic insight. In the case of 9 Q33, you must know that there was only one leader of France named de Gaulle, Charles de Gaulle exactly. He led France three times: as commander of the Free French resistance during the Second World War (1940-1944); as leader of the provisional government of post-war France (1944-46); and finally, before he died in 1970, as President of France (1959-1969). In this new HogueProphecy article series we will explore over a hundred such “in the clear” verses. I’ll share with you much of what I know about unravelling Nostradamus’ secrets as well as steer you around the pitfalls of misinterpretation. Here we go with the first verse…READ THE REST>>> Gain FULL ACCESS to this and all 6 articles with a minimum donation of $5.00 or whatever you can generously spare to support Hogueprophecy.com this Spring for just Wave One of May’s three waves of articles. We need your financing help to relaunch a new HogueProphecy.com. For $25.00 contribution you can receive two more planned article waves in May for free. For a $50.00 donation, receive five waves of articles through June. For $100.00 inside the US ($130.00 for outside the US) receive same and a gift Hogue book of your choice, personally signed and mailed to you. For all choices put May in the PayPal memo line. I’ll personally send the fully illustrated PDF attachment depending on your donation choices via the email used to donate, with the subject line: RE: Notification of Donation Received. Thank you for your support. This entry was posted in Predictions for 2018 and tagged 8 May, 9/11, Afganistan, al-Qaeda, al-Quds, Amalek, Amalekites, Americh, anit-Semite, antichrist, Apartheid, Arab Prince, Arabian Gulf, Armorique, astrological forecast, Astrology, Auschwitz, Axis of Evil, Ayatollah Kameinei, Barack Obama, Benjamin Netanyahu, Bush, caldera, Carmania, Chicago Bulls, China, CIA, Cinq-Mars, climate change, cold war, Dachau, Dennis Rodman, Donald Trump, EU, first quarter moon, freak lightning, Full Moon, G.W. Bush, Gaza, Gaza Ghetto, Gaza Strip, Halema’uma’u, Hans Zimmermann, Hawaii volcano 2018, Hawaii volcano forecast, Hawaiian astrological forecast, Hawaiian earthquake, Hawaiian earthquake 6.9, hegemony, Hezbollah, Hezbullah, Hillary Clinton, Hitler, Hogue, holocaust, IAEA, IDF, IDF snipers, Indian dust storms, Indian Dust Storms 2018, Iran, Iranian Nuclear Deal, Iranians, Iraq, ISIS, Islamic State, Israel, Jewish State, JOhn Bolton, John Carter, John Carter of Mars, John Hogue, JPCOA, Kameinei, Kilauea, Kim Dynasty, Kim Jong Un, Korean peace summit. Trump Korean peace summit, Korean winter olympics, last quarter moon, little rocket man, Louis XIII, Mabus, Mahatma Gandhi, Marine Barracks bombing, Mazarin, MBS, Meditation, Middle East, Mohammed Mossadegh, Mossad, Mossadegh, Muhammad bin Salman, NATO, Netanyahu, New Moon, North Korea, Nostradamus, Nostradamus for dummies, Nostradamus Iranian predictions, Nostradamus lesson, NPT, NSA, Obama, OPCW, Osama bin Laden, Osho, Palestinians, Persian Gulf, PLO, prediction, predictions, prophecies, prophecy, prophet, Pu’u O’o, Richelieu, Robert Langdon, Rocket Man, Russia, Saddam Hussein, Sampson Option, Saudi Arabia, Shia, sick puppy, sniping, Sniping Palestinians, South Africa, Strait of Hormuz, Sunni, Syria, Syrian missile strike, the Adulterous Lady, The Worm, Third Antichrist, Tom Hanks, tornado season 2018, tornado season forecast 2018, tornadoes, True Serpent, Trump, Trump tweets, US empire, VE Day, volcano astrological forecast, war with Iran, Warsaw Ghetto, zionist, Zionist supremacist. Bookmark the permalink. Post a comment or leave a trackback: Trackback URL.